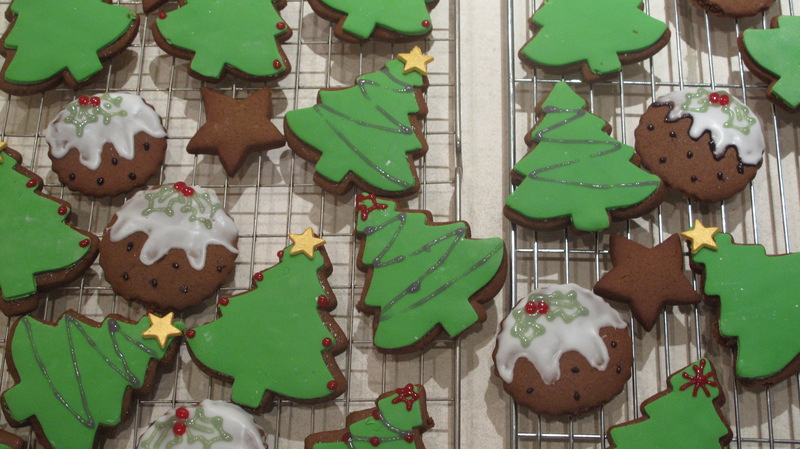 My weekend involved making this gingerbread to send to my lovely older sibling who is currently living far far away; they were s a labour of love to post some festive cheer her way! 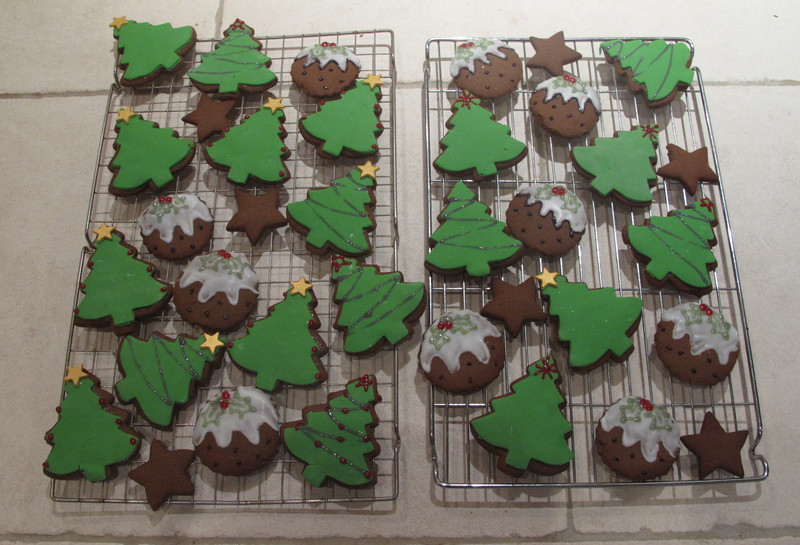 I used the gingerbread men recipe from Hummingbird bakery, and then did a Christmas make-over on them with my cutters and icing. 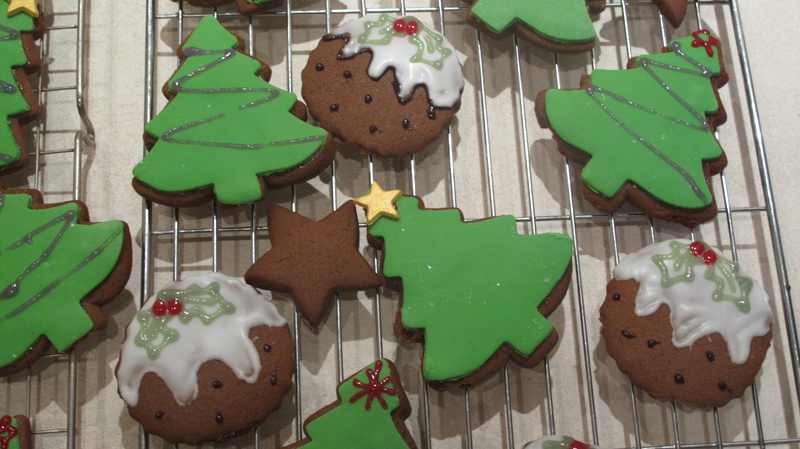 Use melted marmalade jam to stick the icing onto the baked gingerbread. 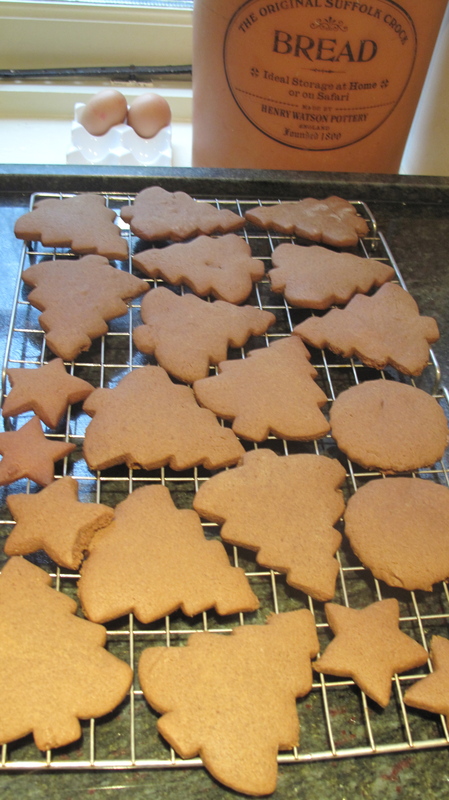 This entry was posted in Sweet and tagged Baking, Christmas, ginger, sweet. Bookmark the permalink. These are gorgeous! You have so much patience! They look absolutely perfect! I can never be so precise–mine would be a mess! They took awhile- but the sister that they’re for is worth it!